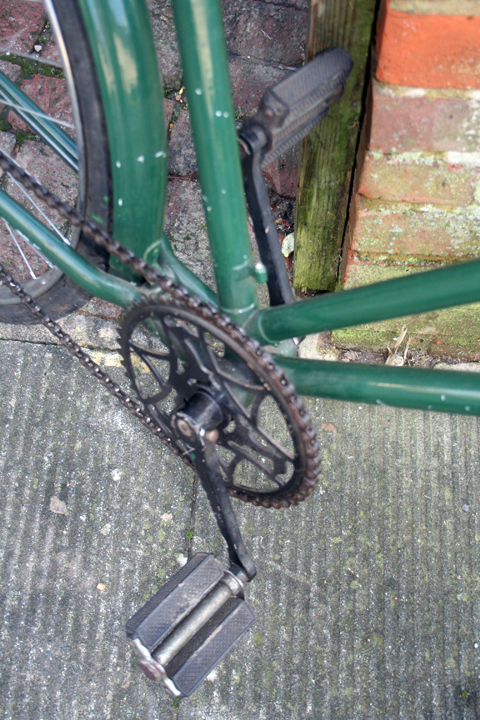 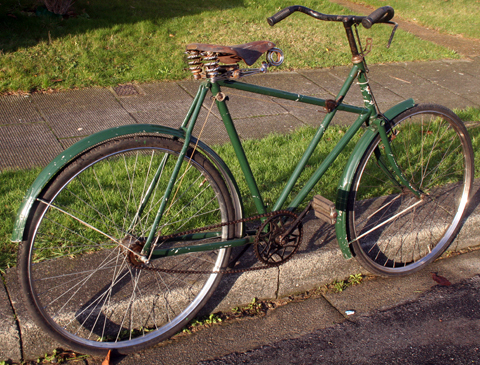 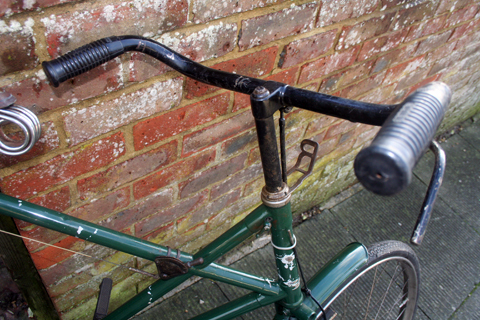 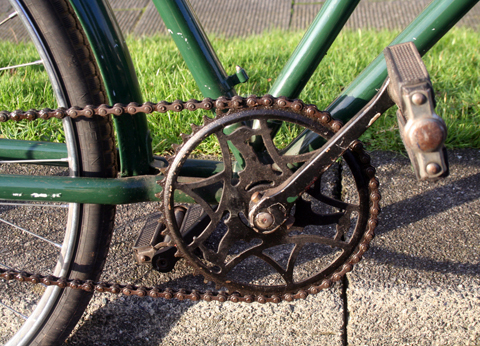 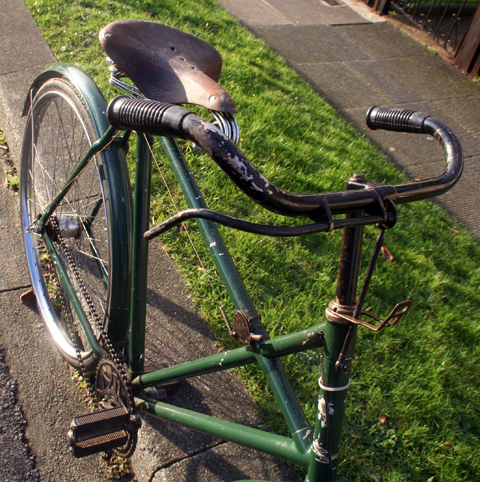 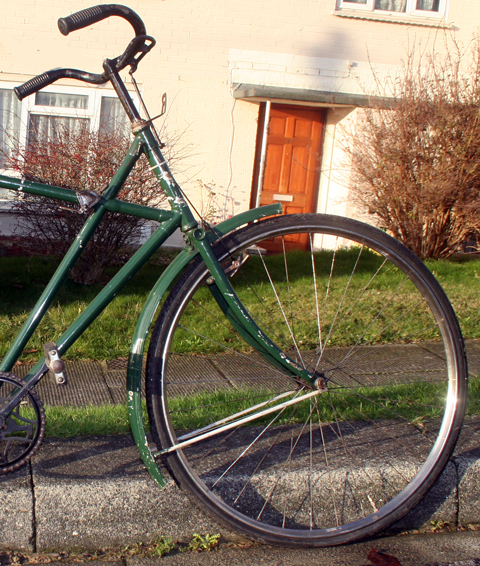 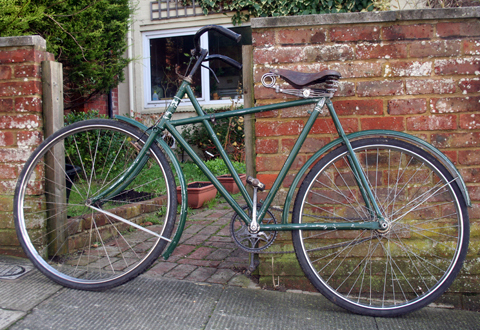 I’ll add some more photos of this 1910 Raleigh Cross-frame tomorrow, weather permitting. 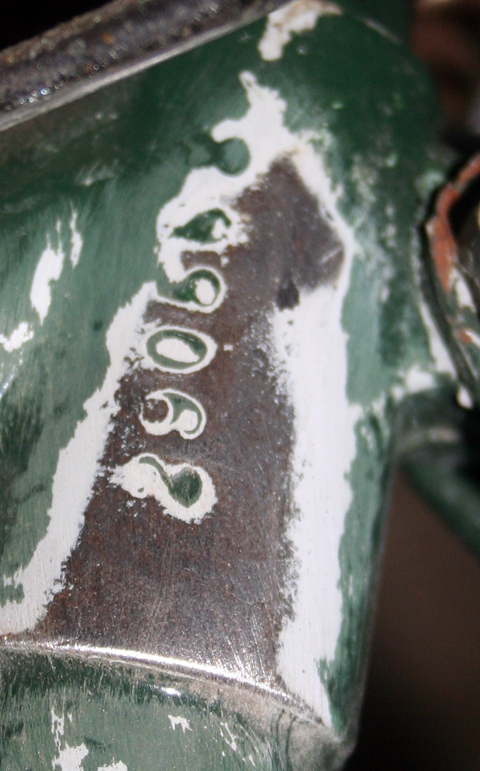 I’ve been selling the duplicates in my collection, so this 1910 will be sold. 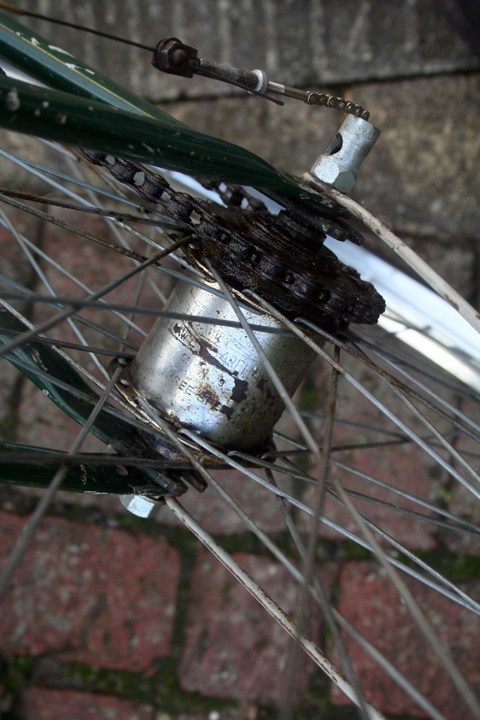 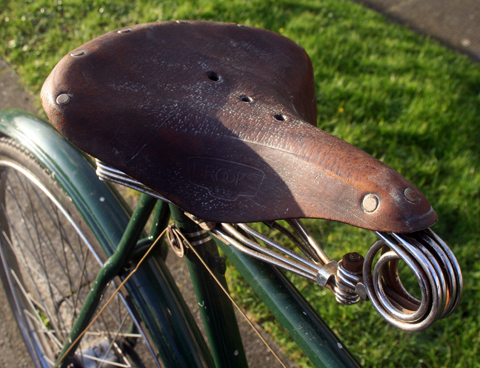 It requires some brake parts, but otherwise it is in good all-round condition. 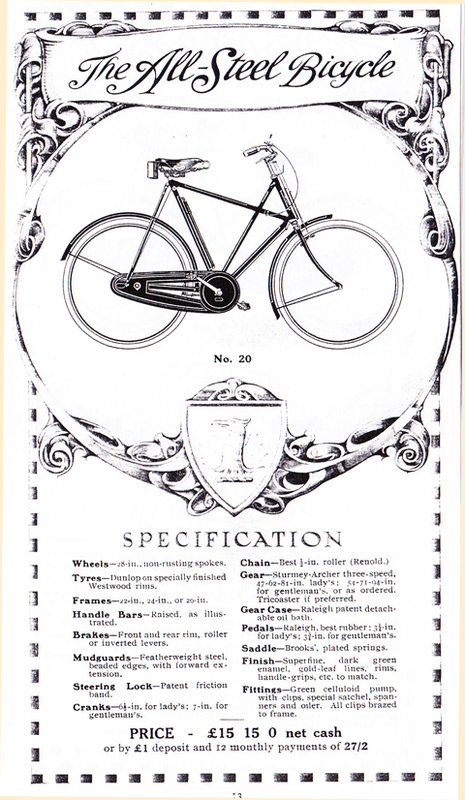 And, obviously, being a 1910 model – one month short of 100 years old – it’s very rare that such a model comes onto the market. 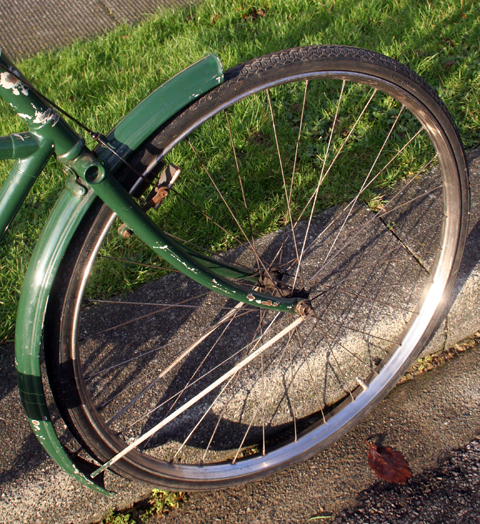 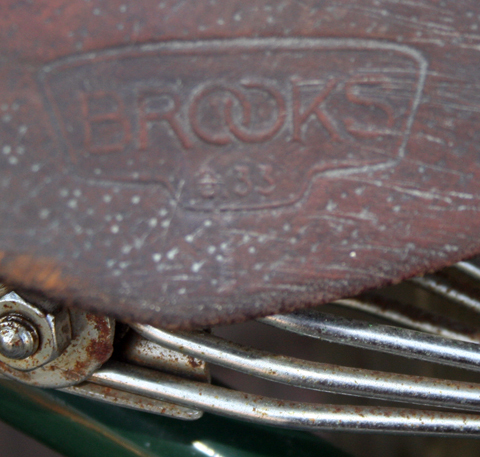 It’s fitted with a heavy duty Brooks model B33 saddle.